Requirements: Qualifications include good communication skills, knowledge of Microsoft Office, attention to detail, and a passion for missions. Bookkeeping and strong organizational skills a plus. Rhode Island officebased position with some travel required. The Missions Coordinator for the Seventh Day Baptist Missionary Society will assist the Executive Director in carrying out the actions and policies of the Board of Managers. The Missions Coordinator will be accountable to the Executive Committee, with routine supervision, oversight, guidance, and evaluation from the Executive Director. The Missions Coordinator will attend all Board meetings in Ashaway, RI and work in the Ashaway, RI office of the Society, except when traveling on Society business. The Missions Coordinator will work closely with (and take direction from) the Executive Director. The Missions Coordinator will assist the Executive Director with coordinating missions ministry activities both national and international. These OFFICE MANAGEMENT duties include, assisting in coordinating training and logistics for missions, booking travel arrangements, and managing Missionary Society facilitated projects, among others. The Missions Coordinator will assist in effectively communicating with those inside and outside the Society, using various forms and methods of written, personal, audio-visual, digital, and electronic communication. The Missions Coordinator will work with other employees of the Society including, but not limited to, the Secretary/Bookkeeper and the Executive Director. In addition to using these regular communication tools, the Missions Coordinator will assist the Executive Director with managing inbound correspondences, inquiries, requests for help, etc. 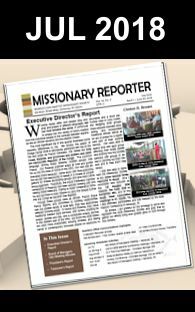 The Missionary Coordinator will have sufficient knowledge to respond to many inquiries and requests with appropriate “form letters” or personalized responses. More complex or sensitive matters will be referred to the Executive Director. The Missions Coordinator may be asked to manage the day to day BOOKKEEPING and financial transactions of the Missionary Society including preparing deposits, paying bills, processing payroll, etc. and recording all these in the accounting books of the society. The Missions Coordinator may be asked to travel and represent the Missionary Society for various purposes. At times, this will be for communication with churches, presentations on the work of the society, raising funds, training, and mission work. This travel may be national and/or international depending on the need. Additionally, the Missions Coordinator will assist in the representation of the Society at SDB General Conference meetings each year. Finally, the Missions Coordinator will assist with planning for board meetings, seminars, training, and other gatherings of the Missionary Society and those involved with it. This may include arrangements for meeting space, housing, food, transportation, etc. Other duties may be assigned. It is important that candidates demonstrate a life of strong commitment to follow Jesus and to His mission to reach the world with the Gospel.